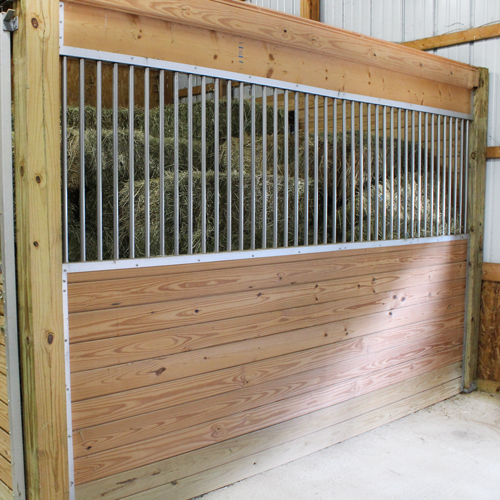 The Essex standard stall grilled partition is non-corrosive and is easy to install in any farm or barn! 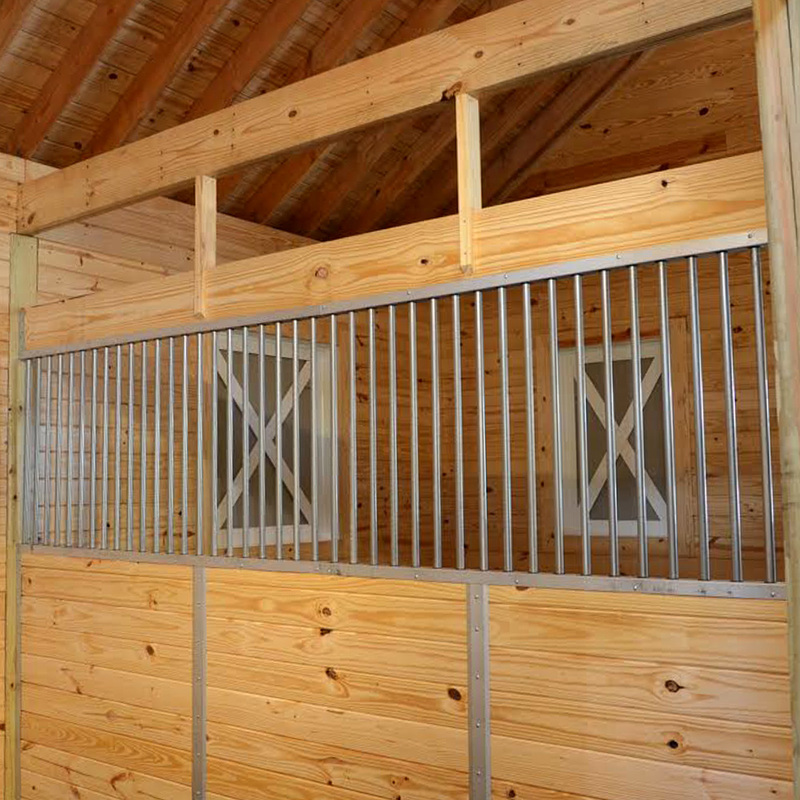 Additionally, the Essex grilled partition is also great for social interaction between horse stalls. 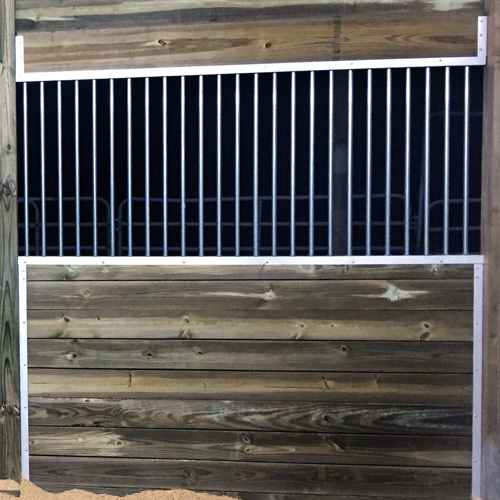 The Essex standard stall grilled partition provides great value for the price, is non-corrosive, and is easy to install in any equine farm or equestrian barn. 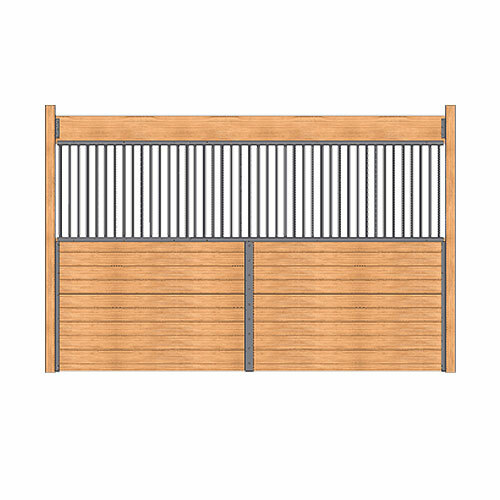 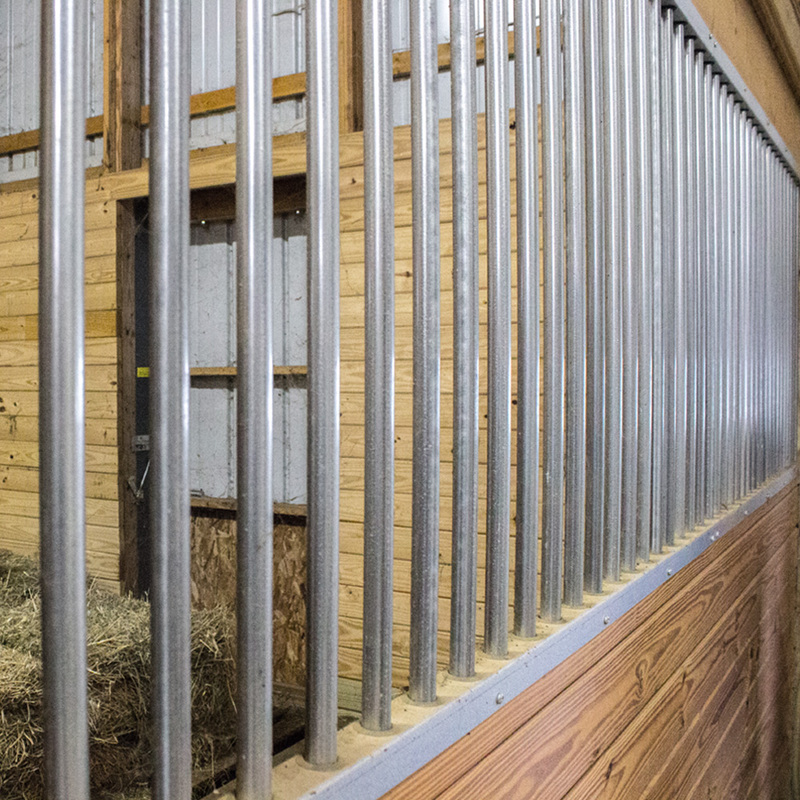 The grilled partition is great for allowing interaction between horse stalls.